PARIS (Reuters) - Thousands of French "yellow vest" demonstrators marched on Saturday for their 13th weekend of action, with scuffles in Paris and a demonstrator's hand mangled by a small explosive. There was also an overnight arson attack on the Brittany residence of the National Assembly head - though no immediate link was made to the actions against President Emmanuel Macron. 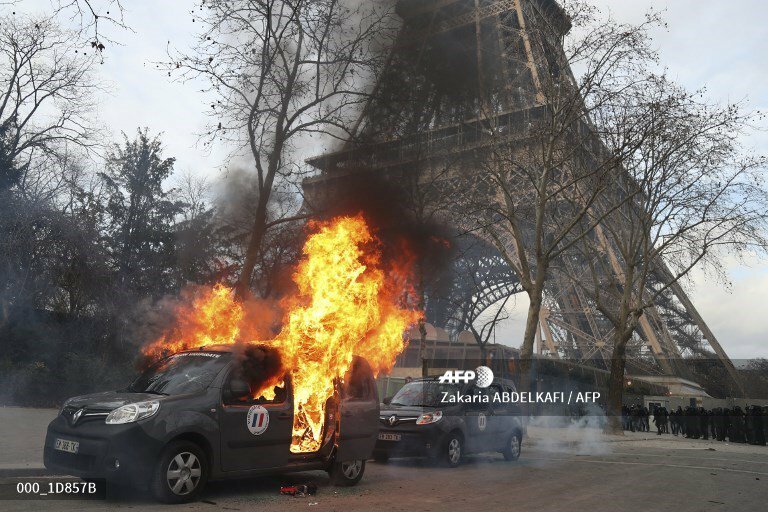 The "yellow vest" demonstrators, named for high-visibility car jackets, began in mid-November over fuel taxes then broadened into a more general revolt against a political class they view as out of touch with common people. Good reporting but would one really be able to know, it was left versus right? Maybe some but not totally. Pretty active, also, I saw a report early this morning that the yellow vests were "splintering", that fits in a bit with the "left vs. right" narrative. Well, I Hope they will all be alright. Page created in 0.169 seconds with 21 queries.